IT MADE HEADLINES in 2011 when two New York City taxi medallions changed hands for $1 million apiece. 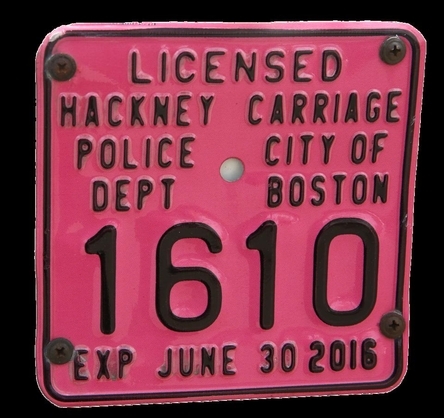 At the time, it was the highest price ever recorded for one of the numbered metal tags that are required to lawfully operate a cab on the city's streets. It was also a vivid demonstration of how a government-created monopoly can send prices rocketing to stratospheric heights — even the price of something with almost no intrinsic value, like a little aluminum medallion issued by the NYC Taxi & Limousine Commission. A million bucks for a taxicab medallion? That may have come as a shock in 2011, but the price kept climbing. By 2014, medallions were going for $1.3 million apiece. And all anyone got for forking over that astronomical sum was the government's permission to operate a vehicle as a taxi for hire. They didn't get a list of established customers. They didn't get the right to ply a popular route. They didn't even get a car. The only reason anyone would pay a fortune for something so insubstantial is that the supply was capped by the government. New York allowed just 13,587 taxis on its streets, far below the actual demand for cab ownership. With the quantity of medallions sharply limited, their value soared. Would-be cabbies were forced to go deeply into debt to buy a medallion, or pay staggering rates to lease a cab from somebody who owned one. Since 2014, the cost of a New York City taxi medallion has plunged. As CNBC reported the other day, some medallions sold in 2017 have gone for prices in the $200,000s. Three credit unions that specialize in financing the purchase of medallions are facing bankruptcy; a growing number of medallion owners now owe more on their loans than the medallions are worth. 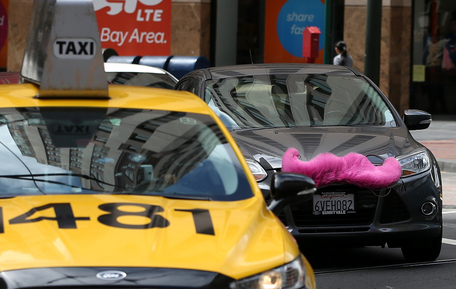 Thanks to Uber and Lyft, the government's extortion racket — that's what the medallion system amounts to — has been beaten. With the rise of ride-hailing apps, tens of thousands of additional vehicles in New York are now providing millions of rides annually. For every medallion-affixed yellow cab working the city's neighborhoods, there are now four Uber and Lyft cars. In November 2010, traditional cabs made an average of 464,000 trips each day. By November 2016, that was down to 337,000. It is doubtless even lower today. For a long time, City Hall's formidable barrier to entry — the restricted availability of taxi medallions — stood. But private-sector vendors found a way around it, and the results of innovation and competition have been what they usually are: better service, lower prices, happier consumers. Thanks to ride-hailing companies like Uber and Lyft, City Hall's taxi-medallion extortion racket has finally been beaten. What happened in New York is happening in every other city that turned its taxi market into an oligopoly. In Boston, where the number of taxis was arbitrarily capped at 1,825, the pre-Uber price of a medallion climbed to more than $700,000. You can buy one today for one-tenth that amount. In Chicago, traditional taxis face so much competition that as of March, 40 percent of the taxi fleet was deemed "inactive" after not having picked up a fare in a month. The medallion system was always an outrage. There was never a legitimate reason for government to limit the number of taxis. Regulators have no business determining how many cabbies belong on the road; just as they have no business determining how many appetizers should be offered on menus or how many homes real-estate agencies should list. Or, to allude to current headlines, how many benefits a health-insurance policy must cover. When government tries to manage supply and demand, it inevitably generates shortages, poor service, and corruption. Even with good intentions, regulators cannot yield fairer and more flexible outcomes than a market made up of millions of autonomous buyers and sellers. The collapse of the medallion shakedown was a long time in coming. It should never have been allowed in the first place. Why should the state license drivers?